High-frequency data can provide us with a quantity of information for forecasting and help to calculate and prevent the future risk based on extremes. This tail behaviour is very often driven by exogenous components and may be modelled conditionally on other variables. However, many of these phenomena are observed over time, exhibiting non-trivial dynamics and dependencies. We propose a functional dynamic factor model to study the dynamics of expectile curves. The complexity of the model and the number of dependent variables are reduced by lasso penalization. The functional factors serve as a low-dimensional representation of the conditional tail event, while the time-variation is captured by factor loadings. We illustrate the model with an application to climatology, where daily data over years on temperature, rainfalls or strength of wind are available. 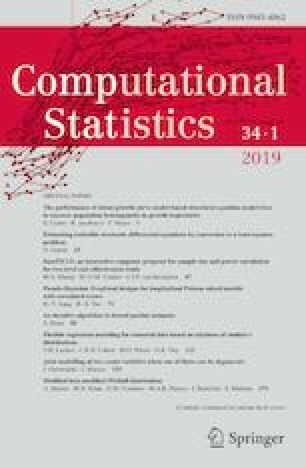 This research was supported by the International Research Training Group IRTG 1792 “High Dimensional Non Stationary Time Series” and the Collaborative Research Center CRC 649 “Economic Risk”, Humboldt-Universität zu Berlin.